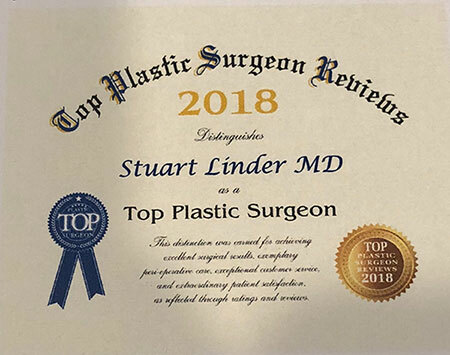 Dr. Stuart Linder is a board-certified plastic and reconstructive surgeon with over 20 years of experience and recognized as a distinguished authority on plastic surgery. Dr Linder believes knowledge is power and emphasizes patient education by thoroughly explaining all aspects of the procedure to help his patients make informed decisions. 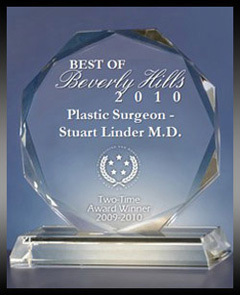 As a specialist in body sculpting procedures, including breast augmentation (he has placed over 12,000 breast implants), tummy tuck, and liposuction, Dr. Linder is committed to providing the highest quality of patient safety and comfort, and his thousands of satisfied patients can attest to the exceptional results he provides. 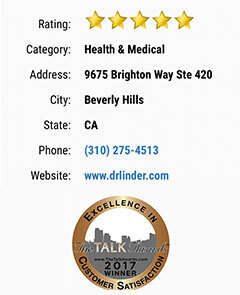 Dr. Linder is a California native. Born and raised in Los Angeles, he graduated from the University of California Los Angeles (UCLA) and then attended medical school at the UCLA School of Medicine. 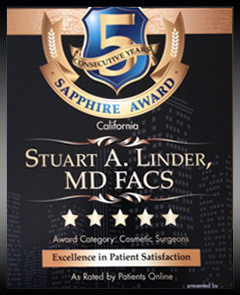 After completing his residency in General Surgery at Harbor UCLA Medical Center, Dr. Linder then completed his fellowship in Plastic and Reconstructive Surgery at St. Francis Memorial Hospital in San Francisco. 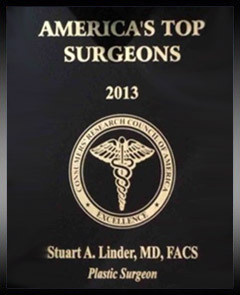 As a member of several prestigious plastic surgery and medical associations, including the American Society of Plastic Surgeons (ASPS), Dr. Linder upholds the highest standards of quality care. 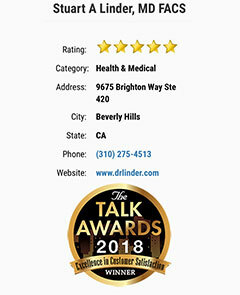 The two-time Emmy Award-winning syndicated television talk show The Dr. Oz Show often turns to Dr. Linder, a member of its Medical Advisory Board, for information and guidance concerning plastic surgery. 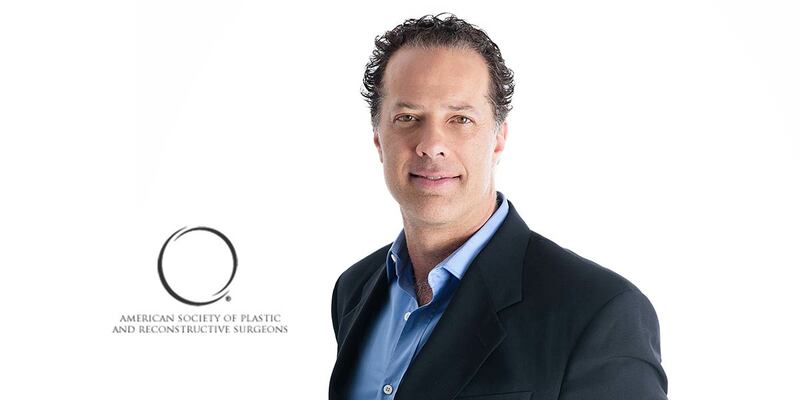 Dr. Linder is also the plastic surgery member of the Advisory Board of ShareCare, Dr. Oz’s program to provide people with accurate information and guidance to improve their health and wellness. 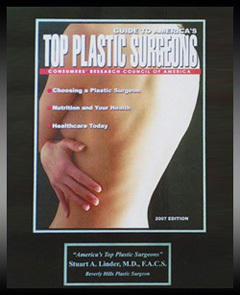 In addition, Dr. Linder is the author of a book on plastic surgery, The Beverly Hills Shape, The Truth About Plastic Surgery that he wrote to help patients make educated decisions regarding plastic surgery. 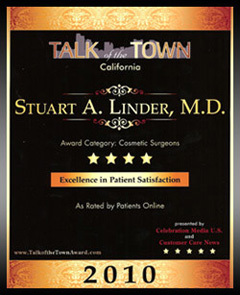 With his wide range of education, training, and experience, combined with his personable and genuine demeanor, it’s no wonder patients continually turn to Dr. Linder for their cosmetic needs. 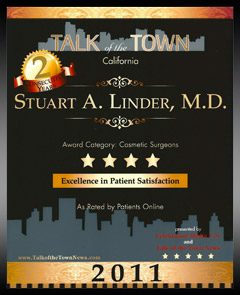 For more information or to schedule your consultation with Dr. Stuart Linder, please contact us today! Recognizing Your Ongoing Commitment to Patient Care and Medical Aesthetics. Over 12,000 breast implants placed since 1997. 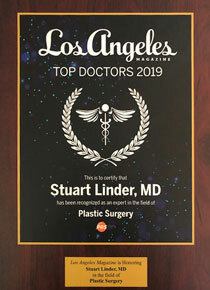 Dr. Linder received Los Angeles Top Doctors 2019 by Los Angeles Magazine. Based on a peer-to-peer review, nominations are crossed checked with the California Medical Board’s license profile database and the Department of Consumer Affairs (DCA). 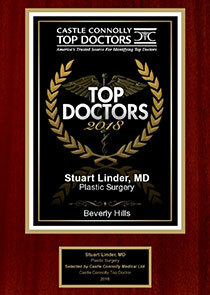 Dr. Linder earned the distinction of 2019 Top Plastic Surgeon in Beverly Hills. 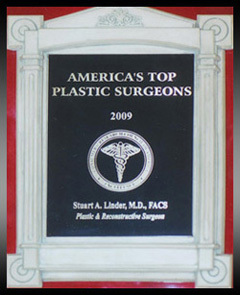 This award was based on honoring only those plastic surgeons who have achieved the highest rating and reviews. 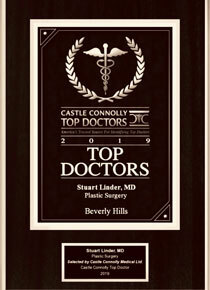 Stuart Linder, MD has been selected by Castle Connolly Medical Ltd. as one of the top doctors of Beverly Hills for Plastic Surgery. 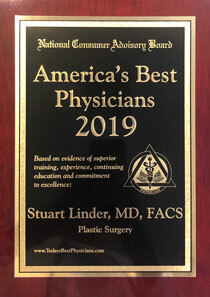 Dr. Linder was awarded the “America’s Best Physicians 2019” by the National Consumer Advisory Board. The award was based on evidence of superior training, experience, continuing education and commitment to excellence. 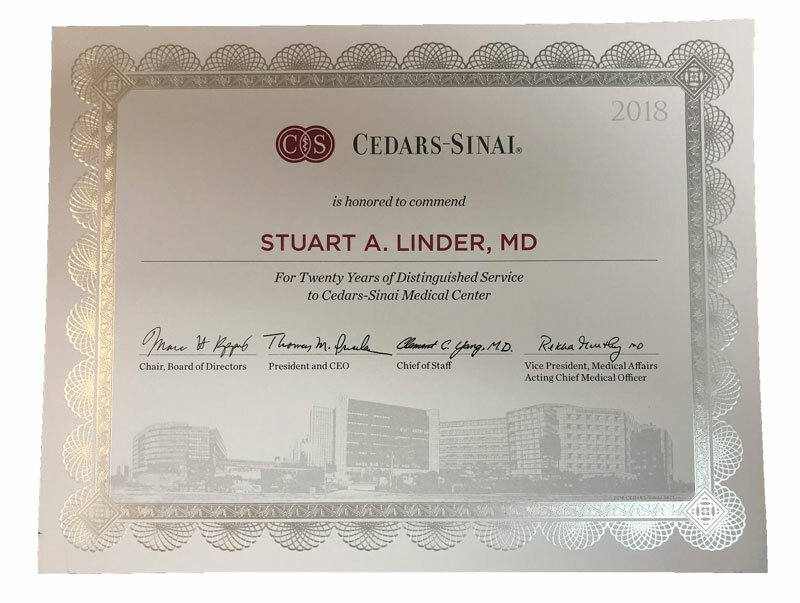 Dr. Linder was honored by Cedars-Sinai for Twenty Years of Distinguished Service, attending surgeon in the Division of Plastic and Reconstructive Surgery. 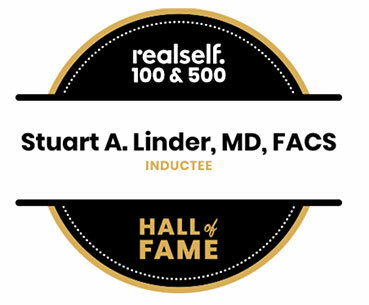 Dr. Linder board-certified plastic surgeon was inducted into the RealSelf 100 & 500 Hall of Fame. This recognition was based on consistency demonstrating a commitment to patient eduction in the RealSelf community. 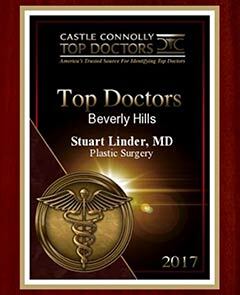 For the tenth year, Dr. Linder has been selected as one of the America’s Top Plastic Surgeons by the Consumer’s Research Council of America. Being chosen for this listing is an impressive achievement. 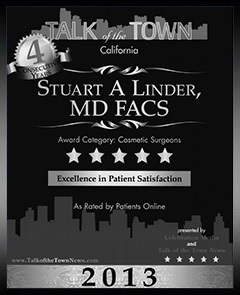 Rated by patients online and awarded to Stuart A. Linder, MD FACS of Beverly Hills in the Health & Medical category. 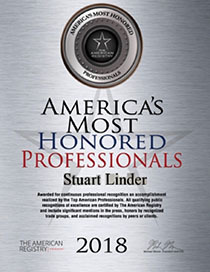 Stuart Linder awarded for continuous professional recognition and accomplishment realized by the Top American Professionals. This distinction was earned for achieving excellent surgical results, exemplary pre-operative care, exceptional customer service, and extraordinary patient satisfaction, as reflected through ratings and reviews. 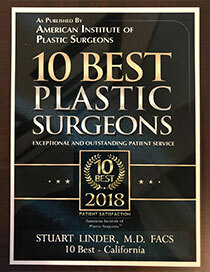 Dr. Linder is privileged and honored for the ninth year to be recognized in the “Guide to America’s Top Plastic Surgeons.” Being chosen for this listing is an honor and is an impressive achievement being placed among the nation’s most excellent physicians. 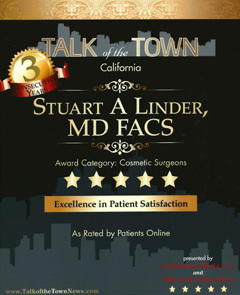 Rated by patients online and awarded to Stuart A. Linder, M.D. in the Cosmetic Surgeons category. 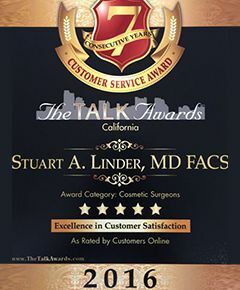 Stuart A. Linder, MD, FACS Plastic Surgeon honored for the eighth year in a row by the Consumers Research Council of America. 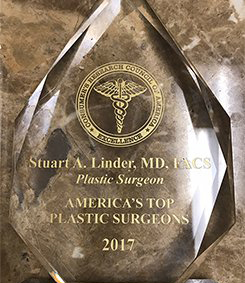 Stuart A. Linder, MD, FACS Plastic Surgeon honored for the seventh year in a row by the Consumers Research Council of America. 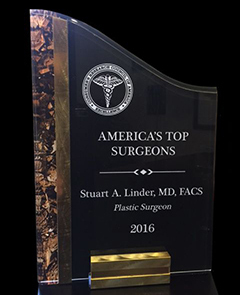 Stuart Linder, MD selected by the Consumers Research Council of America as “America’s Top Plastic Surgeon” in Plastic Surgery 2014. 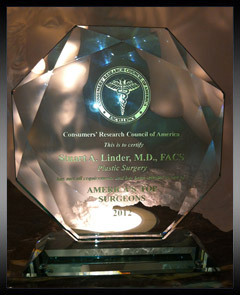 Dr. Linder is awarded for the sixth year in a row by the Consumers Research Council of America. 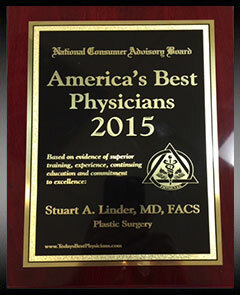 For the fifth consecutive year, I am pleased to announce that Plastic Surgeon Stuart Linder M.D. 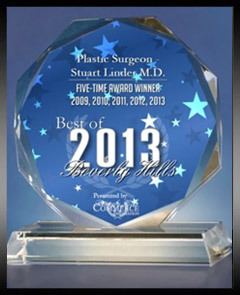 has been selected for the 2013 Best of Beverly Hills Award. 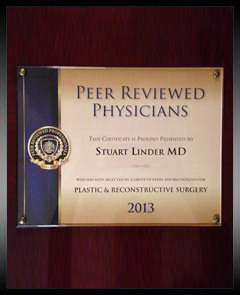 Dr. Linder receives the Charter Member Award for Peer Reviewed Professionals Award of Recognition, 2013. 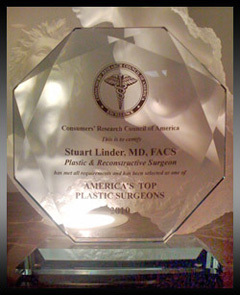 Stuart A. Linder, MD, FACS Plastic Surgeon honored for the fifth year in a row by the Consumers Research Council of America. 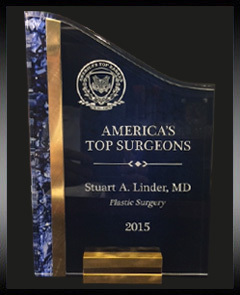 Dr. Linder is privileged and honored for the fourth year in a row to be recognized in the “Guide to America’s Top Plastic Surgeons. 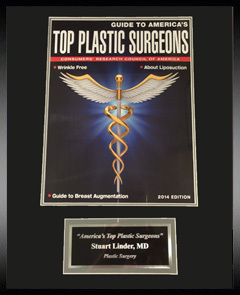 Dr. Linder is privileged and honored once again to be recognized in the “Guide to America’s Top Plastic Surgeons.” Being chosen for this listing is an honor and is an impressive achievement being placed among the nation’s most excellent physicians. 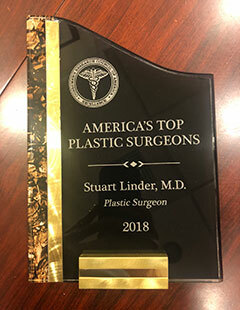 Dr. Linder is appreciative and thankful for being included with a group of highly selected Board Certified Plastic Surgeons throughout the country. According to Consumers Research Council of America, they compile a list of top physicians throughout the United States. They use a point value system deemed valuable in determining top physicians from multi-specialities throughout the United States. 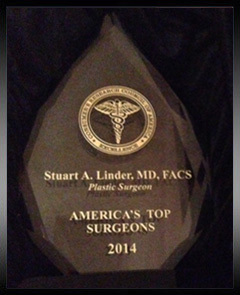 Dr. Linder was awarded as one of “America’s Top Plastic Surgeons” in the category of Plastic & Reconstructive Surgery. 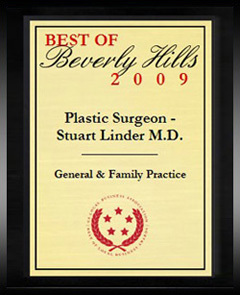 We are pleased to announce that Plastic Surgeon Stuart Linder M. D. has been selected for the 2009 Best of Beverly Hills Award in the General & Family Practice category by the US Commerce Association. Each year, the US Commerce Association (USCA) indentifies companies that have achieved exceptional marketing success in their local community and business category. 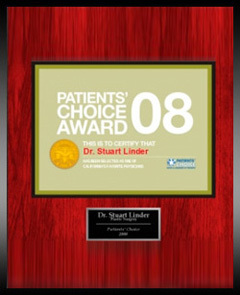 According to American Registry, Dr. Linder has been selected for the Patient’s Choice Award for 2008. 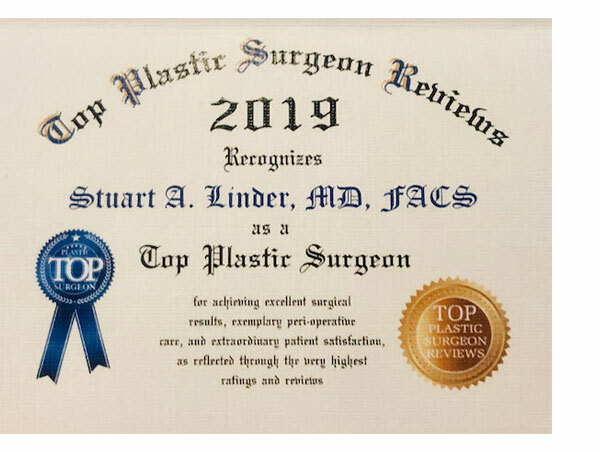 He has been elected as a member of this elite group by more than 400,000 patient reviews and ratings that have been gathered and this top rating was awarded only to a select few physicians, doctors and plastic surgeons. Consumers’ Research Council of America has compiled a list of top Surgeons throughout the United States by utilizing a point value system. This method uses a point value for criteria that we deemed valuable in determining top surgeons. 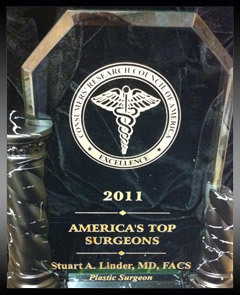 Dr. Linder was awarded this in 2007. Consumers’ Research Council of America has compiled a list of top Physicians throughout the United States by utilizing a point value system. This method uses a point value for criteria that we deemed valuable in determining top physicians. 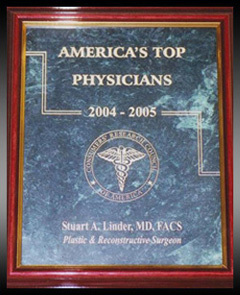 Dr. Linder was awarded this in 2004-2005. 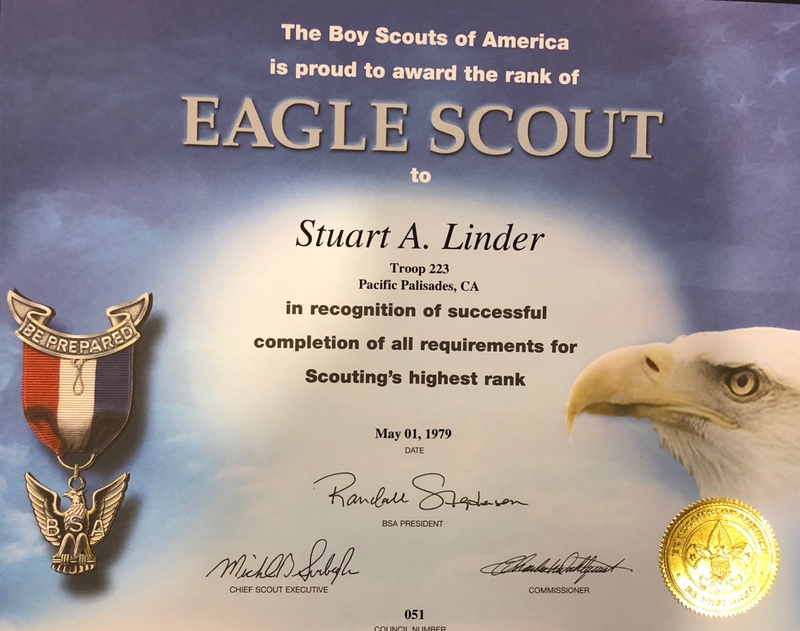 Stuart A. Linder received the Boy Scouts of America award of Eagle Scout. At the age of 14 he had successful completed all requirements for Scouting’s highest rank.